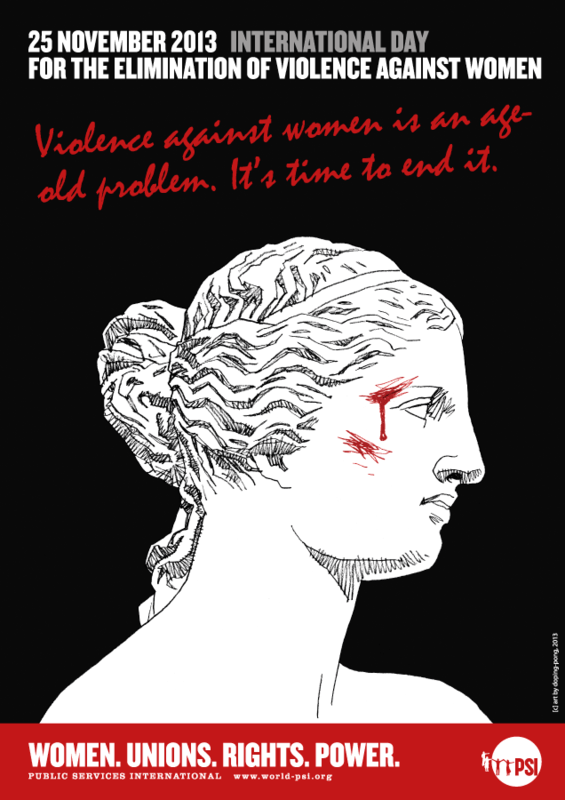 Violence against women exists in all countries and in all societies. It happens in private and public places, and in physical as well as virtual online spaces. Violence is often driven by a deep-seated belief that a woman is not equal to a man. PSI and our affiliates can work together and with civil society organisations to break the silence and mobilise against discrimination and violence in our workplaces and societies. Since 4th March, union women from around the world have been in New York for the United Nations’ 57th Session of the Commission on the Status of Women (UNCSW57). Focusing on the elimination and prevention of all forms of violence against women and girls, the trade union delegation to UNCSW57 calls on all member states to take all necessary measures to immediately and without further delay prevent and remedy violence against women and girls.